In Breaking Walls Episode 54, we go exploring at Industry City! https://industrycity.com The former Bush Terminal in on 3rd avenue in Sunset Park has been transformed into an office and community space with both retail and great food on the grounds. It's an incredible, growing hub of innovation and entrepreneurialism. I sit down with Cristal Rivera, Chief of Staff and Director of Community Engagement at Industry City, Miguel Pacheco, Director of Web Design and Tech at Opportunities for a Better Tomorrow, and Darryle Hawes, architect turned maker who uses the tremendous Innovation Lab at Industry City. It's a chance for a behind the scenes look at what's happening at this Hub. Highlights • What was the Bush Terminal and how did it support the local community? • Cristal Rivera: Origins in New Jersey; Passion for the City and social Structure; Insights into Industry City’s present and future • Miguel Pacheco: Growing up in Sunset Park; How he connected with Opportunities for a Better Tomorrow; Why he teaches; What Makes industry City so special. • Darryle Hawes: How an architect found himself 3D printing; What’s so important about Brooklyn; Where he wants to take the skills he’s learned at Industry City If you’d like to go to Industry City, the hub is currently open Mon-Friday. Industry City’s main address is 220 36th Street. The Innovation Lab’s Address is 87 35th st. The closest Subway stop is the 36th Street BMT stop. the R, N, and D train go there. 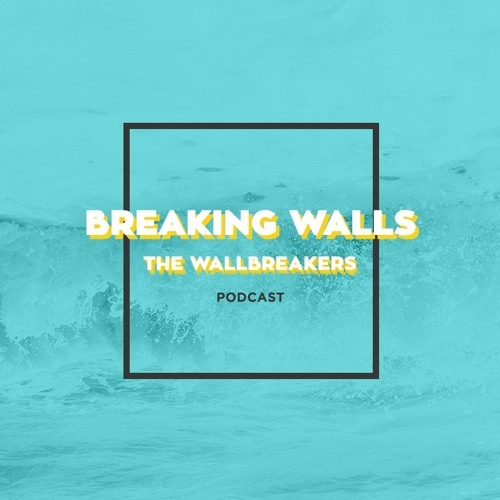 As Darryle mentioned, check out Modo at MODO.com Subscribe on itunes: https://itunes.apple.com/us/podcast/breaking-walls/id924086880?mt=2 Follow on Soundcloud: https://soundcloud.com/thewallbreakers To check out our City Unity t-shirt line, please go to JamesTheWallBreaker.com/Shop.